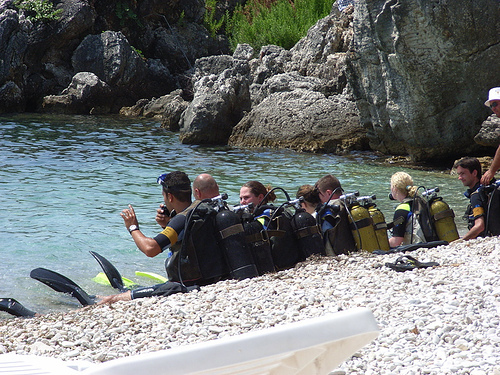 Scuba diving is one of those sports that is known to have a fair share of risks. When preparing for a dive it’s always wise to do as the old saying goes; “Hope for the best and prepare for the worst.” While diving accidents are rare, it’s best to take every possible precaution to ensure that you do not become one of the few who have a less than enjoyable experience. Just because it’s called diving, does not mean you can just dive right in head first and assume that you will figure things out as you go. Training is vital to diving and being properly prepared can mean the difference between life and death. Take classes, become certified, practice with a trained instructor until you are completely comfortable, and learn everything you can. The more you know and the more time you have put into preparation will make you less of a risk to yourself and those you are diving with. No matter where you may be diving it’s safe to assume that there is water and lots of it. How easy do you think it is to find one person in all that water; especially if you have no idea where they began their dive? 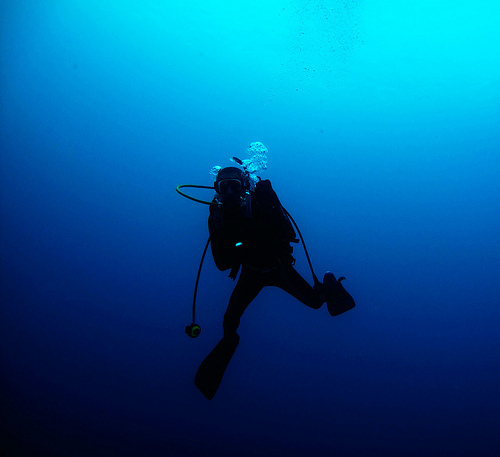 Diving alone is the absolute worst mistake that divers make. If anything should go wrong, there is no-one to help you or go and get help for you. Always, always dive with a buddy- it cannot be stressed enough that there is safety in numbers. When you do dive, be sure that you have a plan outlined before descending and keep an eye on each other. The time to find out that your equipment is malfunctioning is not while you are underwater. No matter how often you dive, how expensive your equipment is, or how sure you are that it is in perfect condition, check it over before every dive. It may take some extra time, but it is certainly better to be safe and late than sorry. 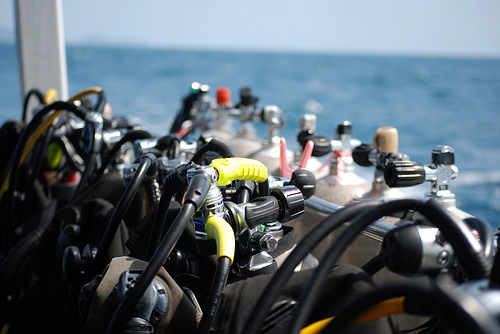 Regular servicing of your equipment at a qualified dive shop will also ensure that it stays in good condition and that problems are detected early. You’ve invested a lot of money in your fins, your BCD, and the rest of your equipment and this is one way to make sure it lasts. You can find out more about it here. Aside from diving alone, the worst thing a diver can do is panic underwater. No matter what happens, it is essential to remain calm. Deep, even, relaxed breaths will keep you from lung injuries and hyperventilation. If you panic, you are putting not only yourself, but the lives of those diving with you, in extreme danger. 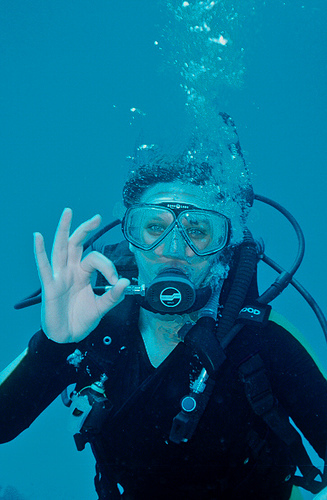 It’s often a good idea to have some sort of signal or gesture that you and your diving mates use to indicate that something is wrong. If you decide to quit in the middle of the dive, for any reason, make sure that the others know and take at least one other person with you. Diving requires a considerable amount of focus and judgment so the last thing you want to do is take something that will inhibit your senses in any way. Alcohol and illegal drugs should never be used on a day that you plan to dive since both of these substances impair your judgment. Also remember that just because you don’t “feel anything” right then does not mean that the effects will not kick in later. 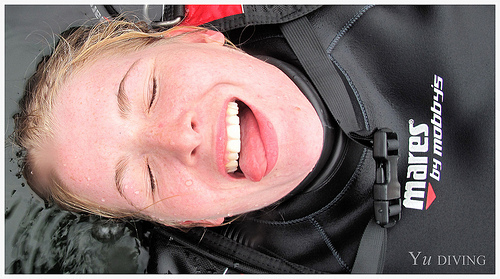 Prescription medications can be just as detrimental to a diver as illegal substances. Before diving, always check with your doctor to be sure that it is safe to dive while taking any medications that you may be on. It’s often a good idea to get a full physical before diving so that medical conditions along with prescriptions can be addressed. For most, these guidelines are mere common sense and have become a routine part of any dive, but it’s vital to the safety of all that everyone does their part. Diving is an exciting and enjoyable experience and a few extra measures for safety’s sake can make certain that it stays that way. If you are planning a scuba diving vacation in Europe, make sure you include Cyprus on your itinerary. Northern Cyprus holidays are sure to be enjoyed by the whole family and with beautiful accommodation options like Latchi villas you can enjoy life both above and below the water. This entry was posted in Scuba Diving, Water Sports and tagged Scuba Diving Equipment, Scuba Diving for Beginners, Scuba Diving Safety. Bookmark the permalink.